The new, second generation Honda Amaze gets a significant facelift and an overall upgrade in its interior and technology packages. Honda Motor India is set to launch the second generation of its compact sedan, the 2018 Honda Amaze, in May 2018. The all-new avatar of the Amaze was unveiled in India at the 2018 Auto Expo, presented with a completely revamped exterior and upgraded interiors to make it a more premium offering than the Amaze presently selling in the Indian market. Honda dealerships across India will open bookings for the Amaze from tomorrow, April 6, at a pre-booking amount of Rs. 21,000. The car will be launched in May, and deliveries will commence from end-May itself. The all-new Honda Amaze looks nothing like its predecessor, doing away with the Brio-like design to present a flatter nose that draws comparisons to the City, the fifth generation Civic or even the Honda Accord from certain angles, thanks to the bold chrome strip on its nose. The flat rear-end of the Amaze is also similar to many of its higher-priced siblings, with a broader stance, new C-shaped tail lamps and a stubby boot that lends good proportions to the overall design of the Amaze. The large, chrome-finished front grille adds to the muscular front facade of the car, all of which is in line with Honda's new design language. Top-end variants of the Amaze will also get optional 10-spoke alloy wheels. On the inside, the dash comes with more premium soft-touch plastic, along with a fully-equipped touchscreen infotainment system. While the model at the 2018 Auto Expo only came with a placeholder for the infotainment module, we expect to see Honda's DigiPad system at least in the top trims of the Amaze. The touch-based AC controls may also be retained, and the overall seating and cabin space is also expected to improve over the present generation Amaze. 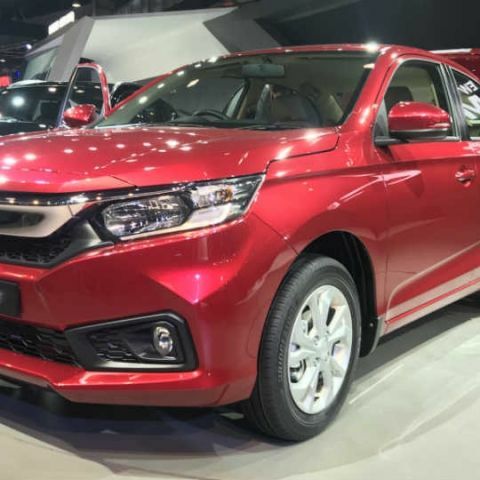 The all-new 2018 Honda Amaze will continue its target of being a premium compact sedan offering in a hotly-contested segment that now has the new Maruti Suzuki Dzire, the facelifted Hyundai Xcent, Tata Tigor, Volkswagen Ameo and the now-dated Ford Aspire that is also slated to get an upgrade soon. In terms of powertrain, the 2018 Honda Amaze is expected to retain the 1.2-litre petrol engine that produces 88bhp, and the 1.5-litre diesel engine that produces 100bhp and 200Nm max torque. Both the petrol and diesel variants will get the five-speed manual gearbox, and the petrol variant is also expected to get a CVT auto box upon launch. Considering the rising popularity, even the diesel variants may get the CVT gearbox some time soon. 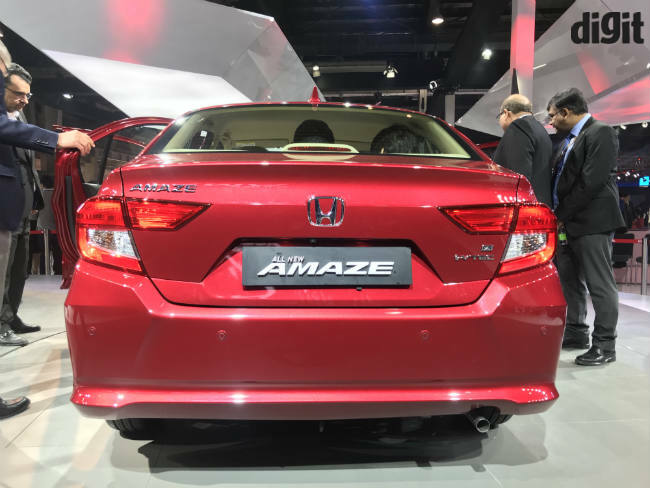 In terms of pricing, expect the new Amaze to be priced higher than the outgoing variant, with expected pricing ranging between Rs. 5.7 lac for the base petrol variant, and Rs. 8.8 lac for the top-trim diesel variant.